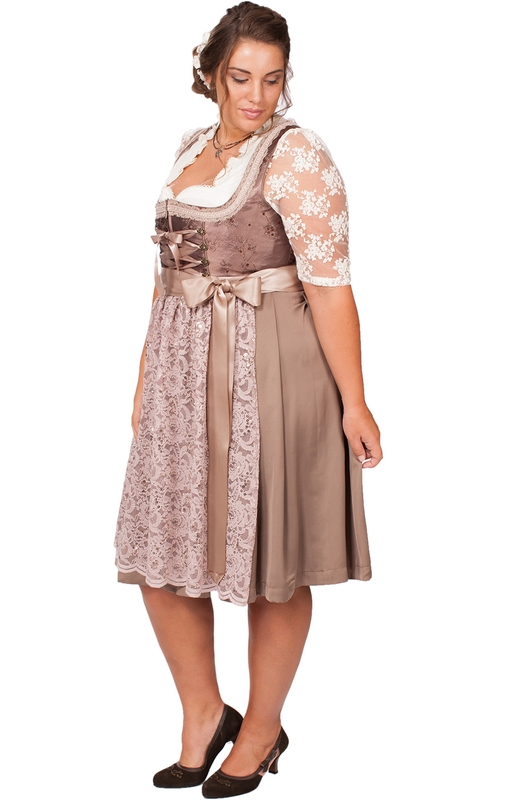 Roberta plus-sized nougat Dirndl dress. The soft nougat colour of this traditional Dirndl is very flattering and while it has been created with Oktoberfest firmly in mind, it is sure to add a touch of style to any occasion. The beautiful lace tie-on apron covers to skirt of the 60cm-length dress and is matched by the bodice edging.